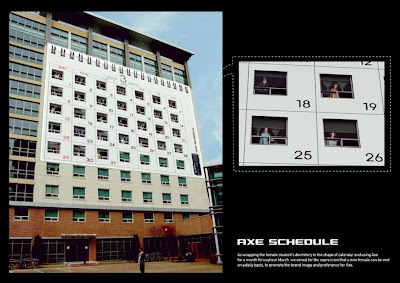 Axe Korea, for wrapping a female students' dormitory block with a calendar. Have to admit, I think this is funny. There's no way you'd get away with it in the UK, but it's funny all the same. Whatever happened to the sense of humour our Lynx ads used to have?